Released in July 2105, this unique book has been written with preconception, pregnancy, breastfeeding, and baby and toddler feeding in mind. Written over a time in Kristine's life from conquering infertility to feeding her 2 year old daughter, the detailed information and personal journey includes the latest research and up to date nutritional information. 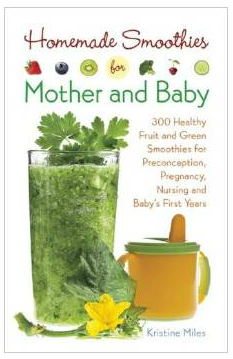 Homemade Smoothies For Mother and Baby is a wonderful resource for parents - and prospective parents - full of interesting and nutrient dense green and non-green smoothies. Buy Now. 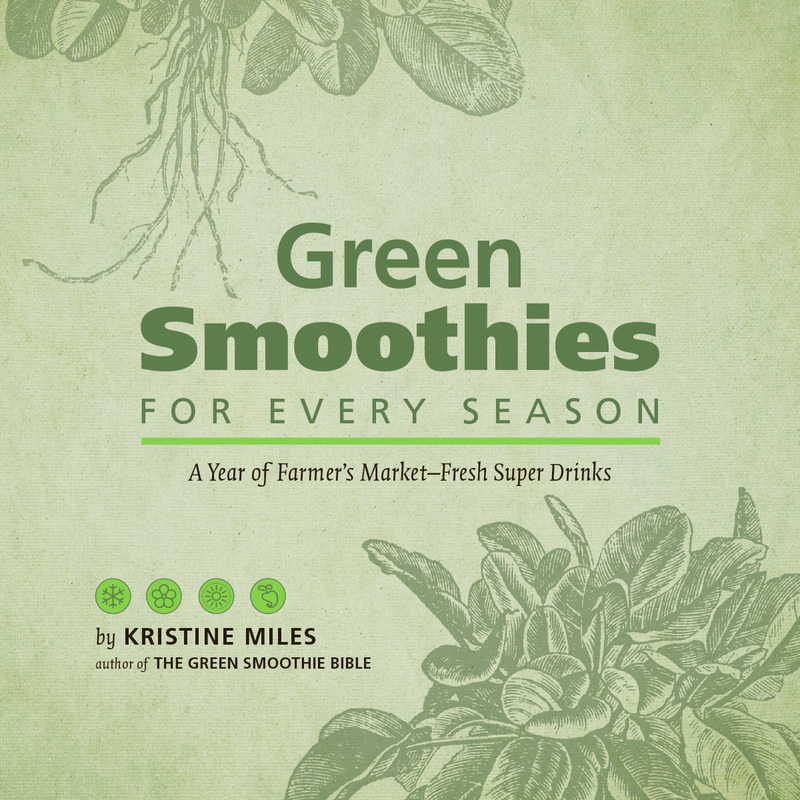 Kristine's best selling book was released in 2012 based upon her popular green smoothie blog. The first half of the book presents detailed theory behind smoothie history, philosophy, preparation and nutrition. The second half presents over 300 recipes divided into topic driven chapters including simple smoothies, smoothies for weight loss, hormones, beauty, mood and more. The Green Smoothie Bible provides education and information suitable for beginners to green smoothies as well as to those with experience, and has been translated into Slovenian, Spanish and Italian. Buy Now. Kristine's second book was released in 2013 and was inspired by the seasonal smoothie chapter from The Green Smoothie Bible. Theoretical chapters are concise and 52 recipes are introduced and beautifully illustrated. This hardcover publication makes a lovely coffee table book, perfect for lovers of eating and drinking with the seasons and preferring easy and quick to read information. Buy Now. Complete Protein - Contains the perfect balance of the 8 essential amino acids (the building blocks of protein) by combining pea, rice and sacha inchi - all fermented and certified organic as well as raw, vegan and gluten free. Unlike most plant based protein powders it has a pleasant mouth-feel, is easily digested and blends easily into a smoothie or shake. Serving 25g, 30 serves per pack. Buy Now. Deep Green - Made from the world's most potent sources of greens, including 3 algaes (spirulina, AFA, & chlorella), juices of 5 grasses (oat, wheat, barley, alfalfa and kamut), and 4 vegetable powders (nettle, collard, kale and parsley). Deep Green is freeze dried, 100% raw, vegan, gluten free and certified organic. Serving 1 tsp, 30 serves per tub. Buy Now. InLiven Probiotic - Contains 13 strains of especially grown 'superbreed' of very strong lactobacilli bacteria designed to reach your digestive tract intact, plus 26 wholefoods, pre-biotics and spirulina. InLiven is freeze dried, fermented, raw, vegan, and certified organic. Serving 1 teaspoon, 30 serves per tub. Buy Now. Berry Radical Antioxidant - Is a delicious combination of 9 of the worlds most potent, antioxidant, super-foods including cacao, coffee fruit extract, olive juice extract, pomegranate, goji berry, acai berry, blueberry, raspberry, and strawberry. Berry radical is freeze dried certified organic, raw, vegan, and gluten free. Serving 1 tsp, 30 serves per tub. Buy Now.